The more crowded the internet becomes the more important SEO becomes. Since search engines like Google are now tending to rank sites with higher quality content higher than sites with just quantity, quality SEO is even more important than ever before. 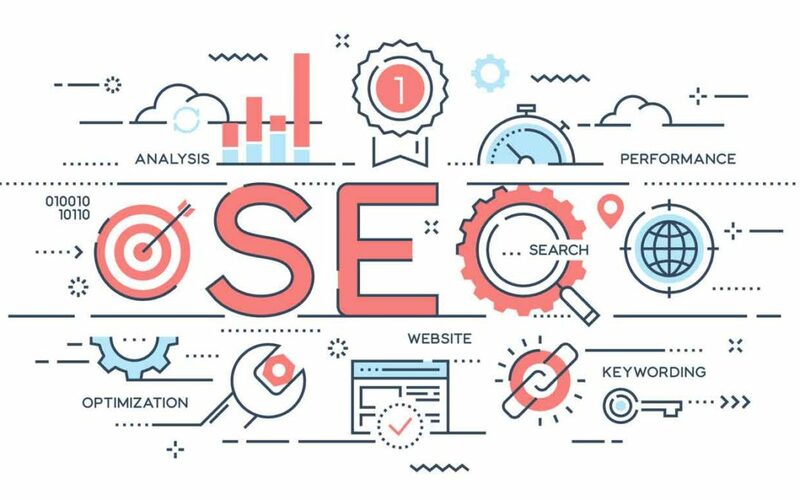 To help you along your SEO journey here are 20 SEO Tips we hope you’ll use to improve your website. This is the most important SEO strategy to get right. Put your target keywords for each website page (i.e. About Us, Services, etc.) in your page title, and remember to keep it short! The maximum page title length is 70 characters. A title tag specifies the title of a web page, just like a books chapter title specifies the topic being covered in that particular chapter. Can you imagine a better place than the title tag to tell a search engine what your page or article is about. Pro Tip: Title Tags are the first place search engines and readers look to determine how relevant a page is to their search. Make sure your title is an accurate description of the content for a particular page. There are two easy things you can do to help people find you in their online search. First you need to understand that search engines read text, not images, video’s or animations. Don’t embed your important page titles or content in images, video, animations, or other non-text formats that Google can’t understand. If you do use an image for your site or company name, include the keyword or phrase in the title of the image and in the ALT tag as well. The second thing you can do to help people find you is to mention everything you have to offer or say about the particular subject of the article you’re writing. Search engines are smart, but their not good at guessing what information might be missing from a page or article. You should use your keyword phrases in the url of the web page either the folder/directory structure, or the file name itself. Keep your most valuable keywords close to the backslash (i.e. www.JugHeadMedia.com/financial-advisor-marketing). You’ll see some experts suggest you leave this out because it’s not as important as it used to be. But why? It takes just a few seconds and is a a good place to add an attention grabber. Utilizing meta-descriptions allows you to provide a brief summary of your article or page. Search engines like Google will often display the meta-description. Keep your meta-descriptions to less than 160 characters long. Reserve the header text, or H1 text, for the title of your blog article or some larger keyword oriented text at the top of your page. H1 and title tags are considered the most important SEO features of a web page. Some experts suggest that you use your keyword anywhere from 4-22 times depending on the length of your page. Google advises that you just write naturally…we suggest you take their advice. The most important thing to remember about keywords and keyword phrases is that you choose those that answer the questions that your customers are asking. When you use relevant keywords you position your website as a resource to answer customers’ questions. Any image used on web pages should be optimized with the targeted keyword phrase. If the keyword phrase your targeting is ‘Fee Only Financial Planners’ then ad that phrase to the images ALT text. Each website page, including your blog should have at least one CTA above the fold. CTA’s help SEO by adding internal links to specific pages on your site. Most CTA’s are images so optimize the file name and ALT tag with the keyword phrase you are targeting. Google uses the number of inbound links to your content to help determine how relevant it is. This is where the power of social media comes in. The more you share your content on social media the more others have an opportunity to see, share, and link back to it. The question as to whether or not Social Media Marketing has any impact on SEO has been hotly debated since social sites like Twitter, and Facebook became relevant. In January of 2014 Matt Cutts, the former Head of Web Spam at Google, released a video publicly denying that Social has any direct impact on page or domain rankings. To better understand the impact that social media can have on SEO Hootsuite conducted an experiment. To make a long story short they found that there is definite correlation between content being shared on social media and SEO. You can read about their study here https://blog.hootsuite.com/social-media-seo-experiment/. It’s true that when it comes to the internet and driving traffic content is king. The problem is that so many writers and bloggers are just cranking out mediocre content for the sake of just getting it out that it’s often difficult to rank in the top 10 search results. If you want your content to rank well in the search engines then you’ve got to create content that your audience needs, that’s interesting, and tells a story. To illustrate I recently read a post by Sonia Simone over at Copyblogger called Why Great Content Alone Isn’t Enough To Build An Audience. In it she discusses her thoughts on a comment that Mark Shafer made that “Great content is not the finish line, it is the starting line”. In my mind relevant content for your audience means content that will help them improve or accomplish their mission or goals. You do this by first developing a deep understanding of your buyer persona’s and then write for your target audience. Studies have shown that longer post of at least 1,000 words rank easier in search engines. One reason is that longer well written post simply have more words for search engines to figure out what they’re actually about. Think about it. If this article about which is about SEO Tips was only 300 words how many times could I naturally and in a conversational tone use that keyword phrase. But a longer post like this one allows for a deep dive in which the phrase can be legitimately used frequently without keyword stuffing. A word of caution. Long content does not mean good content, and short content doesn’t mean it’s poor content. For example Seth Godin publishes one of the most successful blogs on the Internet with post that are often just a few words in length. He’s successful because he packs a wealth of marketing wisdom into just a few words. Pro Tip: Write relevant content at least 300 words in length. Guest blogging is something I have not done at all. However I had read many guest post on sites and then checked out the writers main site for additional content. If you’re considering guest blogging here’s one way to get it done. Maintain a list of other widely read blogs in your industry. Follow those blogs, and contribute to their community with insightful comments when appropriate (keep self promotion to a minimum). If they are open to guest bloggers make a request. When granted the opportunity post something fresh, unique, and insightful. Post one or two links back to your site using keyword phrases as anchor text. Guest blogging can help with SEO because writers typically receive an about the author box or page with links back to their site. On this page be sure to mention your primary site, or helpful links back to your site with content on the specific subject matter of the site you’re writing for. Pro Tip: The most popular blogs in your space may already have their content production needs filled and be less responsive. Try to find sites in your space that don’t compete with you and are of a similar rank as yours. For example many people who own cars also own homes. So if you run a niche site about automobiles why not approach a home improvement blog with a piece about SUVs and how they can be used to haul loads to fix up around homes.